^ Dorman, John L. (October 6, 2017). 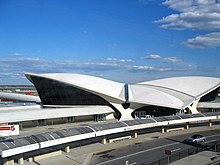 "Eero Saarinen's Michigan". The New York Times. ISSN 0362-4331. Retrieved February 18, 2018. ^ "Experts Pick Best-Designed Products of Modern Times" (PDF). 22: New York Times. March 31, 1959. Retrieved March 22, 2017. 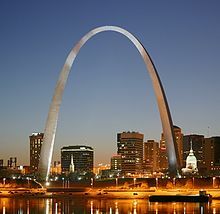 ^ a b c "The Role of Eero Saarinen". Building Brandeis. Brandeis University Library. Retrieved February 23, 2019. ^ "Five Elected to Arts Institute" (PDF). New York Times. February 10, 1954. p. 36. Retrieved March 22, 2017. ^ American Institute of Architects. "Gold Medal-AIA". AIA. Retrieved March 22, 2017. ^ "The Eero Saarinen Masterpiece No One Sees: IBM Manufacturing and Training Facility in Rochester, Minnesota". Untapped Cities. August 20, 2013. ^ Meehan, Jennifer. "A Finding Aid to the Aline and Eero Saarinen Papers, 1906-1977, in the Archives of American Art". Archives of American Art. Smithsonian Institution. Retrieved January 15, 2018. ^ "Aline and Eero Saarinen papers, 1906-1977". Smithsonian Institution. Retrieved November 7, 2017. Saarinen, Eero (1962). Saarinen, Aline B. (ed.). 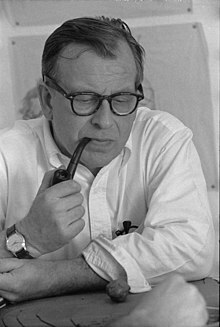 Eero Saarinen on His Work: A Selection of Buildings Dating from 1947 to 1964 with Statements by the Architect. New Haven: Yale University Press. Retrieved December 28, 2016. This page was last edited on 14 April 2019, at 02:10 (UTC).